We’re happy to report that our quest for the PERFECT scratch Lemon Blueberry Cake is over! The flavor combination of tangy lemon balanced with sweet blueberries has always been a popular choice for desserts, especially in the spring and summer months. We’ve wanted to add a lemon blueberry layer cake to our site for a while now, and are so happy to have a recipe that we think you are going to absolutely LOVE! How to Keep the Blueberries from Sinking to the bottom of the cake..
For this cake recipe, we knew that we wanted the blueberries to be baked into the lemon cake layers, and more importantly, that we wanted the blueberries to stay suspended and evenly distributed. Little did we know what a challenge this would be! We experimented with SO MANY lemon blueberry cake recipes before finding “the one”. We played around with our favorite lemon cake recipe from our site, but the batter wasn’t thick enough to keep the berries evenly distributed. Whether we tossed the blueberries in flour, used tiny wild blueberries, sliced the blueberries into tiny pieces, or sprinkled them on top of the batter before popping into the oven, it made no difference. The blueberries always fell to the bottom. Agggh! We were beginning to think that cake layers with perfectly suspended blueberries were just a myth and all of the blueberry cake photos that we saw online were photoshopped, haha. Finally, we tried a twist on our favorite White Almond Sour Cream Cake because the batter is nice and thick. The result was perfectly suspended berries– Woohoo! Such a proud moment! We could hardly believe it ourselves. This cake tastes amazing, and the sour cream in the recipe lends a lovely texture and moistness. You’ll notice in our recipe that we call for frozen wild blueberries (because of their small size) and we still toss them in a bit of flour. This is all done as a precaution to make sinking blueberries less likely, however the thickness of the batter should keep your blueberries suspended no matter what their size. 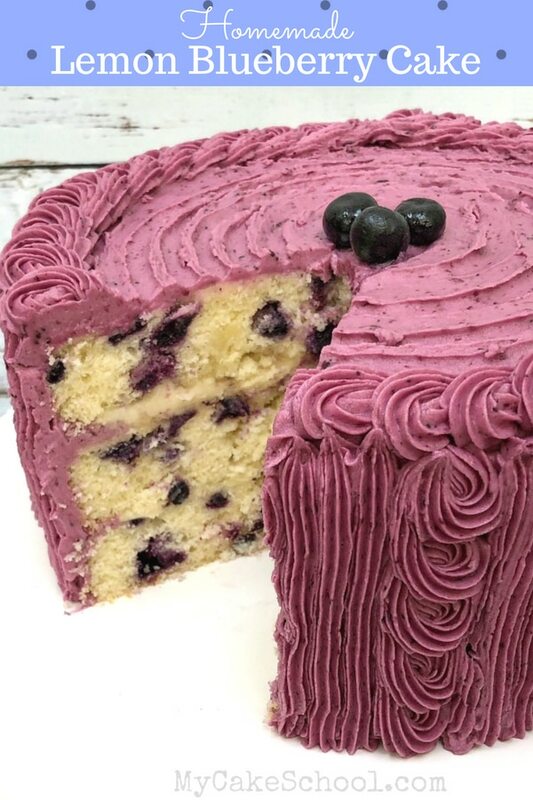 We decided to boost the lemon and blueberry flavors in this recipe with our luscious lemon cream cheese frosting in between the cake layers as well as a delicious blueberry buttercream! You may have noticed that we have a thing for cream cheese frosting- we absolutely love it and many of our cake recipes call for a cream cheese frosting or filling– feel free to change things up as you like! A lemon curd or lemon buttercream would taste great too! Since our lemon cream cheese filling is a little soft, I piped a blueberry buttercream dam about 1/4 inch inside of the edge of the cake before filling. This helps to keep the filling right where it belongs as the layers are assembled. 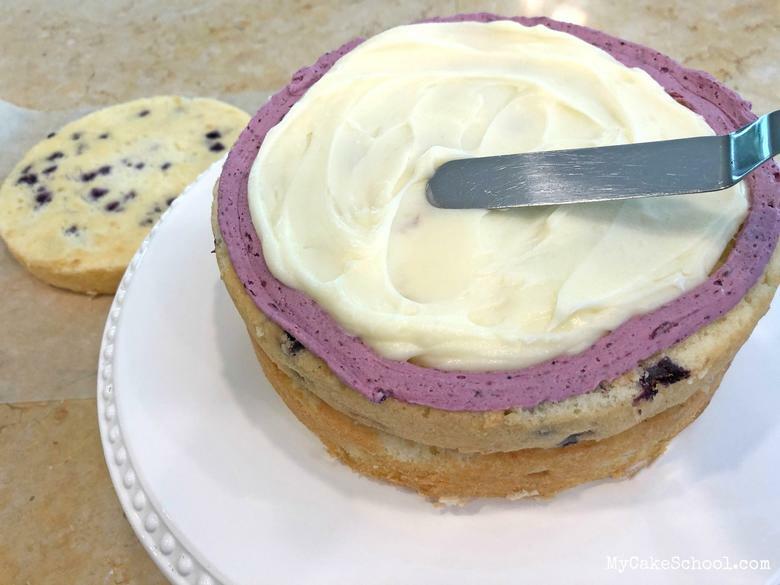 We love this Blueberry Buttercream Frosting Recipe! I love the speckled look of the blueberry buttercream, and the blueberry flavor really comes through! 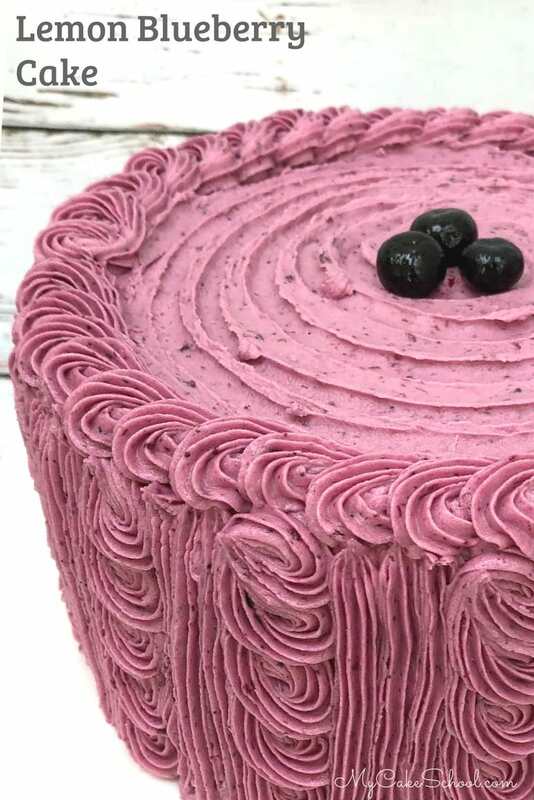 In this frosting recipe, you’ll see that the blueberry buttercream’s key ingredient is a flavorful blueberry syrup, which is a simple reduction. 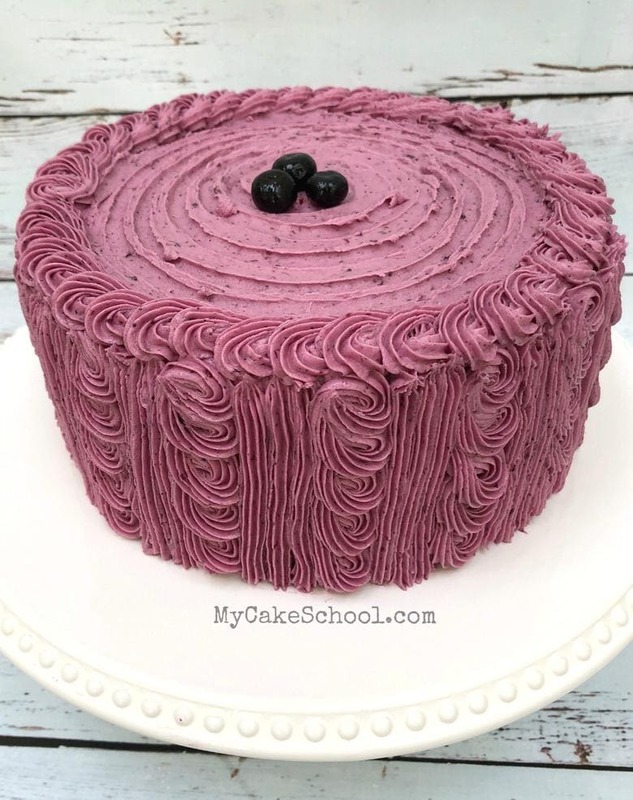 We made enough blueberry buttercream for generously frosting and decorating this three layer cake- it pipes perfectly! After giving the cake some time to settle, I crumb coated the cake and used a star tip 21 to make patterns of overlapping rosettes and vertical lines. I could pipe buttercream designs all day! We served this cake for a family get together that we recently had for the Fourth of July and everyone loved it! If you’re a fan of lemon or blueberry, or both- you must put this recipe on your “must make” list! It’s a keeper! 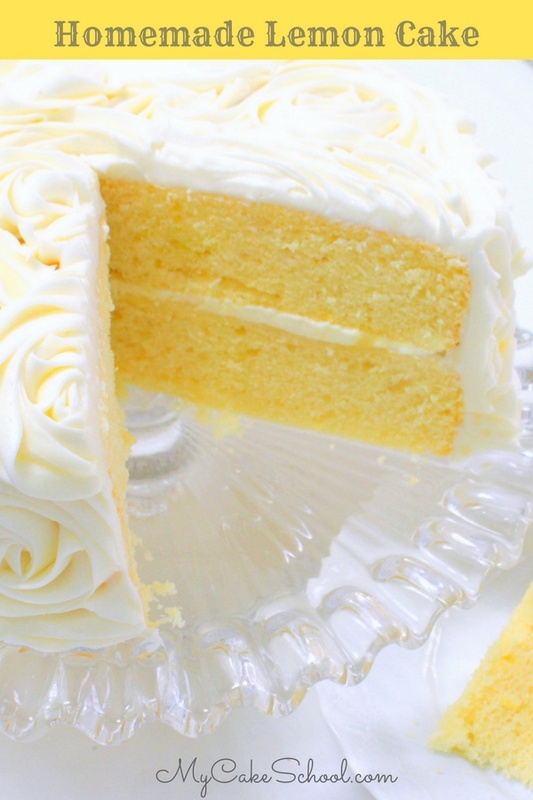 We Have More Favorite Cake Recipes & Cake Tutorials to Share! Don’t miss our full collection of tried and true cake and frosting recipes in our Recipes Section! If you’re interested in learning more about cake decorating, be sure to scroll through our Free Cake Tutorials Section. This homemade Lemon Blueberry Cake is the perfect balance of lemon and blueberry flavor! So moist and perfect for spring and summer gatherings! 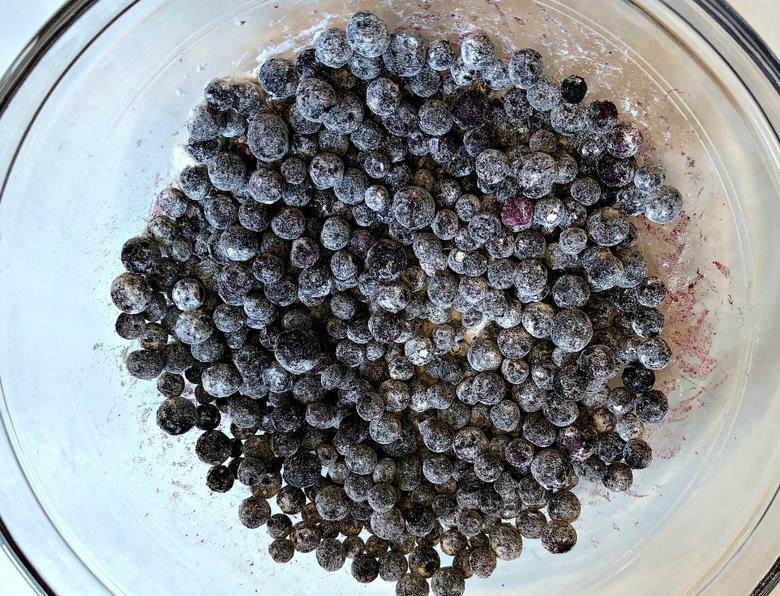 1 1/2 cups wild blueberries (tossed in 1 Tablespoon flour) — Keep the berries frozen until just before stirring in. Wild blueberries are smaller and are less likely to sink in the cake batter. You can use fresh or frozen I usually use frozen. This cake batter is very thick, this also helps to keep the blueberries from sinking. Preheat the oven to 350 degrees, grease and flour three 8x2 inch round cake pans. Three layers will give you slightly shorter layers but more filling per slice. In a medium sized bowl add the flour, baking powder, baking soda and salt. Whisk to blend, set aside. In the bowl of your mixer, beat the softened butter until smooth. Gradually ad the sugar and beat on medium speed for 3 to 5 minutes until it is lightened in color and fluffy. Add the flour mixture and the sour cream mixture alternately, beginning and ending with flour mixture (3 additions of dry ingredients and 2 of wet). Mix until combined and smooth, do not mix above medium speed or over mix. Toss the blueberries in 1 Tablespoon flour and gently fold into the cake batter. The cake batter is very thick. Divide the batter between the 3 pans smoothing the tops with the back of a spoon. Bake at 350 degrees for 25 to 28 minutes or until a toothpick inserted into the center comes out clean or with just a few crumbs attached. Let the cakes cool 5 to 10 minutes then turn out. To a saucepan add the above ingredients and cook over low heat until sugar dissolves. Increase to medium heat and cook until the mixture is reduced a bit. Cool the syrup before using in the buttercream. It can be refrigerated 3 to 5 days in the refrigerator. Cream the softened butter until smooth. Blend in the vanilla. Gradually add the powdered sugar and blueberry syrup until the powdered sugar is incorporated . Mix on medium speed 4 to 6 minutes or until smooth. Slowing the mixer down to a low speed setting during the last minute of mixing helps to eliminate air pockets. Add the lemon juice and lemon zest. 1/2 teaspoon lemon extract, (optional) for a stronger lemon flavor. Place the first layer on your pedestal or cake base. Pipe a dam of blueberry buttercream about 1/4 inch within the edge of your cake layer and fill with lemon cream cheese frosting. Add next layer and repeat. 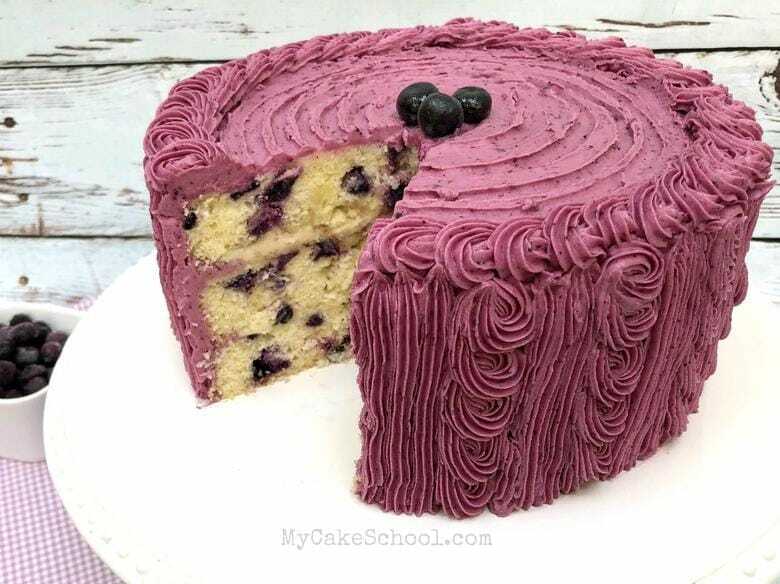 Frost the cake with blueberry buttercream. I like to apply a thin crumb coat layer first, and then follow either with a second layer of frosting, or with piping as I did in today's cake. I used a star tip 21 to create the piped designs. Due to the cream cheese frosting, this cake should be refrigerated until within a few hours of serving. For each cup of flour in the recipe, remove 2 Tablespoons of flour and replace with 2 Tablespoons cornstarch. This recipe has 3 cups of flour, measure out 3 cups of all purpose flour, remove 6 Tablespoons and replace with 6 Tablespoons cornstarch, whisk to blend. Love Lemon? Here are a few more lemony options from our Recipes section that belong on your must-make list! 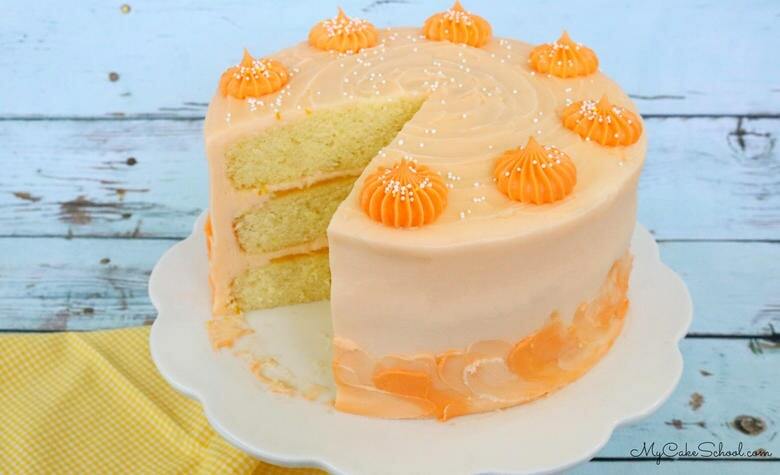 Lemon Orange Layer Cake– This wonderful cake consists of homemade lemon cake layers, orange curd filling, and orange cream cheese frosting. Heaven! 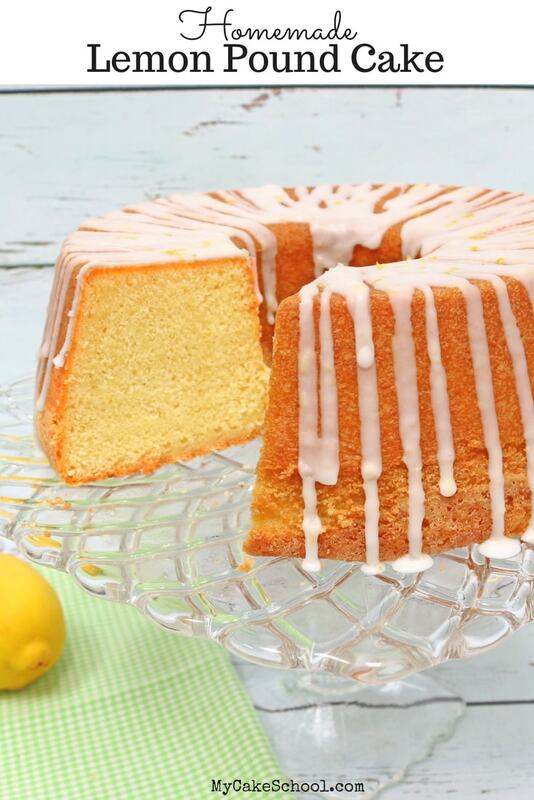 Lemon Pound Cake– Pure Heaven! If I could get away with it, I would have a slice of this lemony deliciousness every day! This recipe is SO easy and delicious! 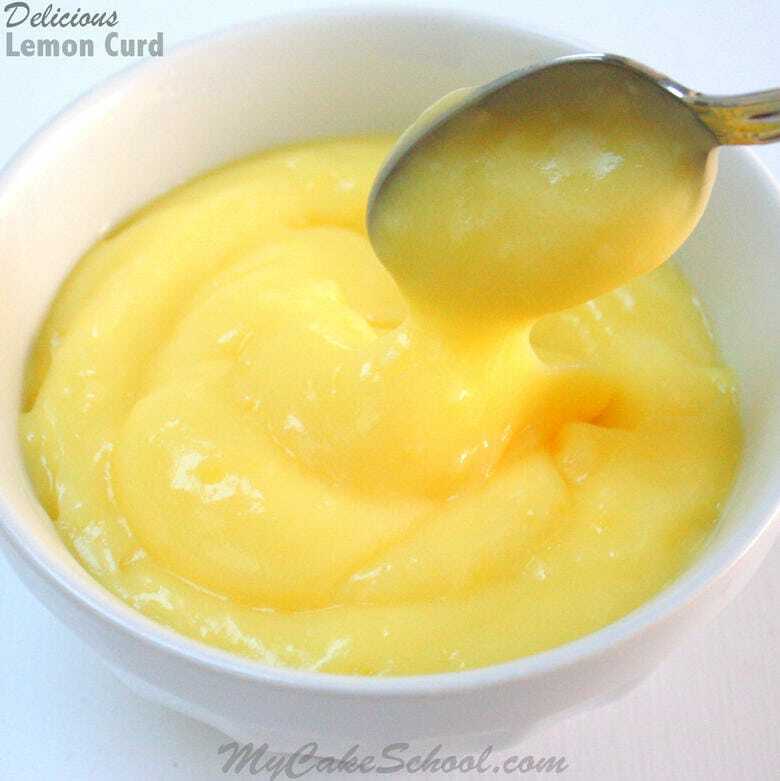 This Easy & Delicious Homemade Lemon Curd makes the PERFECT cake and cupcake filling! So luscious! 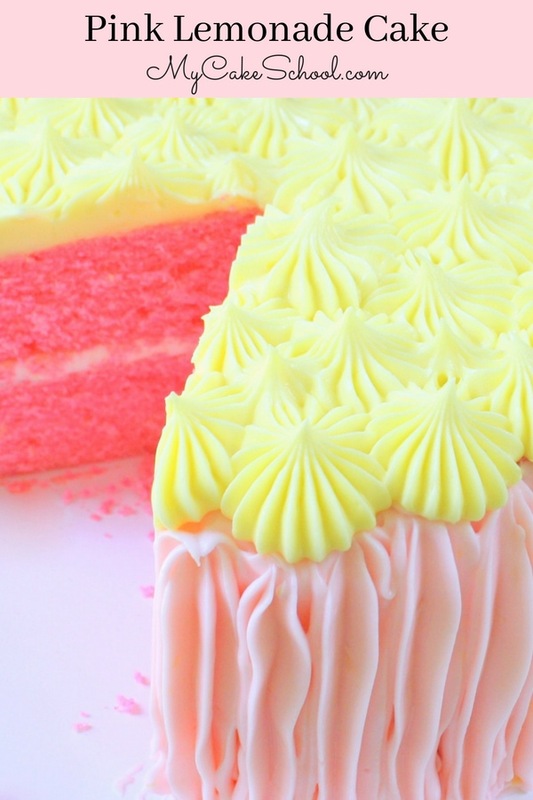 …and last but not least, this Pink Lemonade Cake Recipe from scratch is ultra moist and tastes like summertime! This recipe has a bit more lemony tartness which is perfectly balanced with lemon cream cheese frosting. SO good! Cake flour? What would we use in the UK? Hi Alison, I’m sorry I forgot to add the substitution. I just added it to the end of the recipe. In the UK you can use plain flour in the substitution. For each cup of flour in the recipe, remove 2 Tablespoons flour and replace with 2 Tablespoons cornstarch (it may be know as corn flour in the UK, not sure). This recipe has 3 cups of flour, measure out the all purpose or plain flour, remove 6 Tablespoons and replace with 6 Tablespoons cornstarch, whisk to blend. Looks amazing! I’m going to get some blueberries as soon as possible to try this. I believe I will use a few drops of lemon oil in place of the extract (I am not very fond of lemon extract). Other than that, it looks perfect! Yesterday, I was asked to make a lemon blueberry cake. So, I had planned on using the America’s Test Kitchen lemon cake, with a blue berry jam. I have used it in the past and liked it. So that means, I normally use a vanilla cake with a strong lemon simple syrup. However, I recently made the chocolate cake from this site and it was absolutely fantastic. So, I decided to give this cake a try for 2 reasons. 1: the cake has 3 different kinds of lemon in it (it is really hard to make a lemon cake taste like lemon), 2: The frosting used a blue berry reduction that I have never thought of…it simply intrigued me. On to the actual review: I was unable to obtain frozen wild blue berries. So, I took fresh berries, washed and got all of the stems off and froze them overnight in a flat strainer. I picked out the smaller ones and used them. When making the cake, I have to admit, I didn’t like the addition of the lemon extract. It smells bad to me. So, I thought it had ruined the cake, but I wanted to try to it exactly as written since it includes zest and juice. Once the batter was prepared, I was surprised that it wasn’t as thick as I expected. BUT once I added the frozen blue berries, it thickened up significantly. Be sure to have a small offset spatula available or a bent spoon so you can smooth it out. There is no way you will be able to tap it down to make it flat. It reminded me of cookie dough. I was able to make 2 8 inch and a small tester for my daughter (4 inch). This kid loves everything blue berry (pancakes, muffins, cereal bars, yogurt). I needed her to be a tester because this will be for a client and I will not have any to sample. I was in the process of making another cake when she stumbled into the kitchen. I told her I had made her a cake, she pulled it out and took a bite. I asked it if tasted like pancakes or muffins, she replied..”OMG, this is the best cake I have ever eaten., out of 10 it’s an 11,000.” I quickly asked for a bite and there was none. I would add one note if anyone made this. Do not be concerned about the thickness of the batter. Instinctively, I assumed it would take a long time like a pound cake, but it didn’t. It’s the addition of the frozen berries that makes the batter so thick. I have asked the recipient of the actual cake to take a picture and get reviews from 5 guests of different ages and I will add that to my 2/2 review in about a week or so. Hi there, I can’t find wild blueberries. Will regular frozen blueberries work? Thank you! Hi Megan, Yes, you can use regular frozen blueberries. As I mentioned in the comments wild blueberries are smaller and less likely to sink. The cake batter is thick so hopefully that will keep your berries suspended. I hope you will enjoy the recipe.